It’s every stamp collector’s dream to find a stamp that turns out to be truly unique. That dream became reality in 1873 for L. Vernon Vaughn, a 12-year-old Scottish schoolboy living with his family in British Guiana. 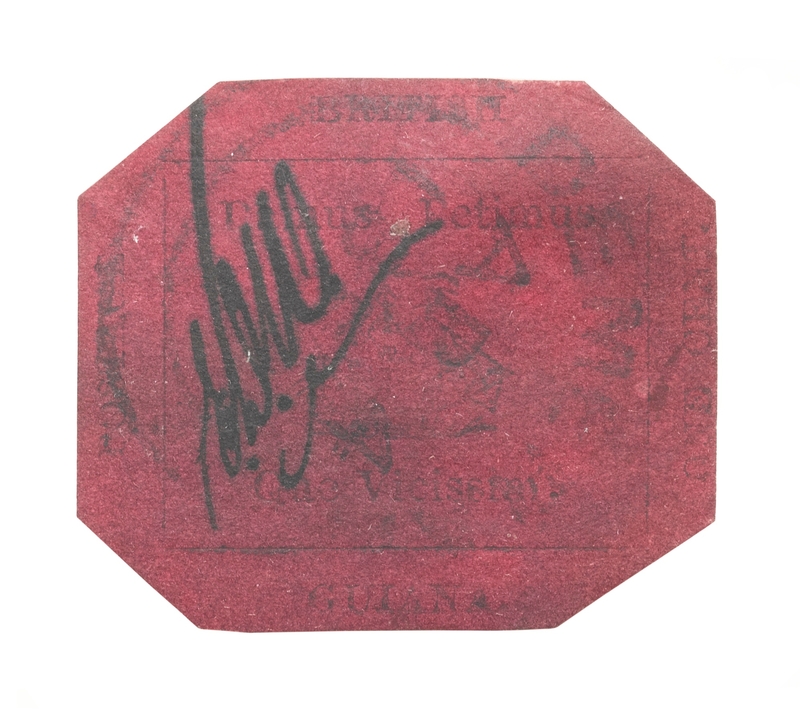 Whilst rummaging through some family papers looking for stamps to add to his collection, he discovered, what would turn out to be, the sole surviving British Guiana One Cent Magenta. The young philatelist added it to his collection. But unable to find any record of it in his stamp catalogue a few weeks later he decided to sell it to a local collector for six shillings. Little did he know that 141 years later that that same stamp become the most expensive item by weight and size ever to be sold, selling for a world record $9.5m at Sotheby’s in New York earlier today. The history of the stamp makes for interesting reading. The stamp itself only came about by chance. In 1856 storms had delayed the ships transporting the usual stamps from London from reaching the colony, as an emergency measure the colony issued their own definitive stamps to avoid running out of stamps completely! It previously set the world record for a stamp back in 1922 when American collector Arthur Hind outbid the stamp-mad King George V and paid £7,343 for it. It was last owned by John Du Pont, heir to the DuPont chemical fortune, who paid almost $1m for it in 1980. Although the stamp didn’t quite make the $20m that some experts forecast, it only took two minutes for this rarity to reclaim its crown as the world’s most expensive stamp. An anonymous bidder paid $9.5m – nearly four times the previous record for a stamp – the Swedish Treskilling Yellow.